The thing I’ve always loved about turning the page to a new year is the chance to start over, to try again, to be optimistic and remind myself of the hope that a new year can bring: that the best days are still ahead. And then to see how I can do better, manage my time better, and be intentional, even budget for improvements in what I call the big 3 of life: my relationships with my family/friends, my physical & spiritual health, and my impact on others, especially in my vocation. With 2015 now behind us, AND 2016 already on the move, we’ve been reflecting on the past year and are appreciative for all the ways you trusted us to be a part of your healthcare team. Here’s a look at our year in review here at BCG. In 2015, we started by adding capacity in our space and equipment. We built 3 treatment rooms and remodeled our therapy suite. We also invested in more backstage space for our team including moving into 1,000 sq ft on the 3rd floor. In April, we added Dr. Greg Butts, our fifth doctor of chiropractic, that’s been practicing for several years as a solo practitioner in Green Hills. Dr. Greg is such a great doctor, and has been a great fit here at BCG. Along with Dr. Greg, several others have joined the wellness team here at BCG including Lesley, a very talented licensed massage therapist with over 12 years of experience. We also added 3 new therapy assistants in Austin, James, and Danette. In December we added Courts, to serve as our X-ray tech as well as on our front patient services team. With 19 people, our team is now bigger, more experienced, and better skilled than ever before to serve you and your family. Between the BCG team and our practice members, these halls and exam suites stay pretty busy, bustling with a palpable energy that never gets boring. 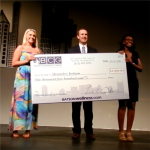 In 2015, we again awarded the BCG Servant Leader Scholarship to a high school graduate from our community. We were excited to award last year’s scholarship to Alexandra, a graduate of McGavock Comprehensive High School who excelled both in and out of the classroom. Alexandra and her family were very appreciative and she is now studying in college to become a health care practitioner herself. We look forward to presenting this year’s servant leader scholarship in May. 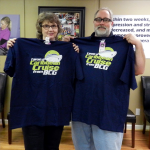 Anyone who’s known BCG for a while knows that we love to find creative ways to say thank you with events and referral contests and BIG, big prizes. Of course, we started 2015 fresh off our VIP NEW YEARS EVE PARTY, that we are going to bring back in 2016 (stay tuned for details). Since we had already given away iPads, flat-screen TV’s, grills, and tickets to local events and hotels, we decided in 2015 to up the ante and make the prizes even better. In the spring we announced the winners of our 7-day All-Inclusive Caribbean Vacation for 2, where our winners, Erik & Gina Holt happen to be right now as I write this. We also gave away a $1,000 shopping spree just in time for Christmas to Tina. It’s very exciting for us here when we draw the winners of our big referral contests. And you can bet that in 2016 we will continue to look for ways to say Thank You in bigger and better ways for all your personal referrals to our practice. 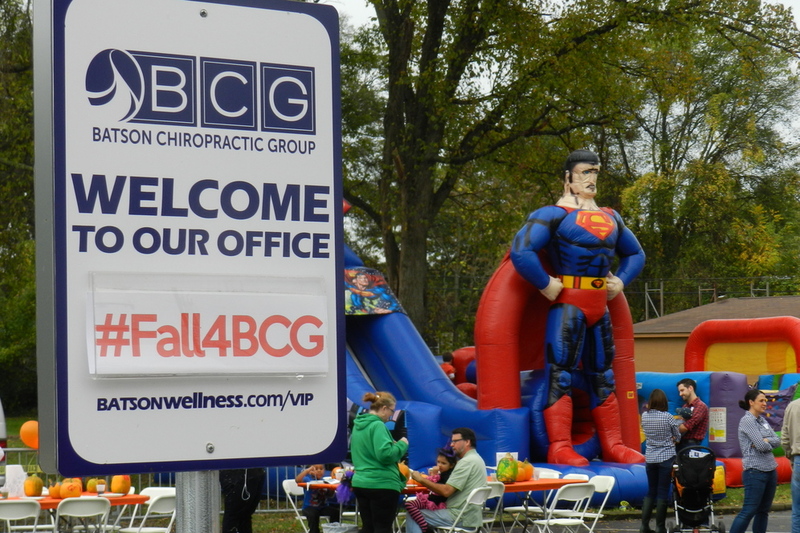 Back in 2013, Batson Chiropractic Group hosted a fall festival for our local Nashville community, and it was a big success. In October 2015, we brought it back with the Donelson-Hermitage Community Fall Festival. We made it even bigger than last time, and we’re happy to say that with over 400 families and over 600 people, it was a huge hit. The fall festival is really one of our favorite things that we do. With live music and fun activities, it was a chance to slow down and say thank you to our community and all of you. 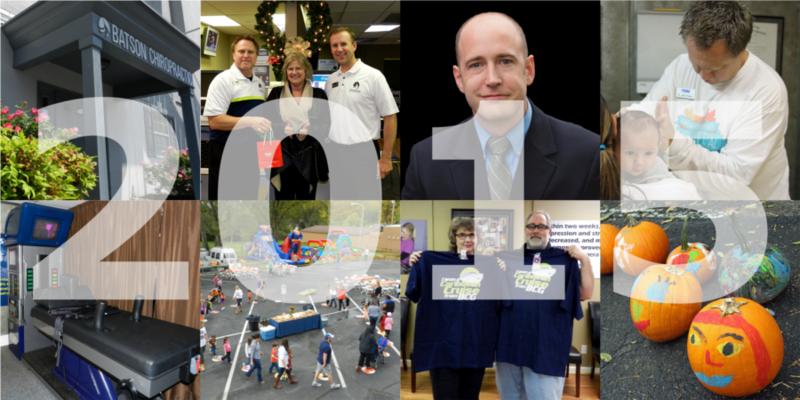 In 2015, more than 950 people in the Nashville area came to Batson Chiropractic Group for the very first time. This is one of our favorite numbers, because it means that we’re helping more people than ever before on their journeys to good health. We love that we have practice members whom we have called friends for many years, and we also love that we’ve met so many wonderful people in the past year. Each year has its own ups and downs. We’ve celebrated marriages, births, and graduations with many of you this year, and we’ve also grieved with some who have lost loved ones. Whatever your circumstances may be, we hope you’ve found reasons to celebrate 2015 and welcome the new year. I encourage you to set new goals, be intentional with your calendar, and make a commitment to be better in all areas of your life, especially with your health. This year my wife, Ginger, and I will turn 40 years old. And as it’s been said, as you get older the things you really wish for, can’t be bought in stores. Remember, your health is a result of how you treat yourself. And it affects everything you do and everyone you know, so I especially encourage you to be intentional in this area & make your health a top priority in 2016. We’re here to help in any way we can. To that end, I invite you to be a part of our first Dinner with the Docs on January 19th, at 6 pm at the Nashville Airport Marriott where we’ll be talking about some practical ways where you can be equipped to really make this your best year ever. So as we start the new year, it’s always appropriate to say thank you to you and your family for trusting us with your own health and referring others to our practice. And also let me say thank you to my team here, that from top to bottom, is the best team I’ve ever been a part of. And it starts with a group of doctors that are as skilled and good at what they do, as you’ll find anywhere under one roof. My hope is that 2016 will be your best year ever, and you’ll end 2016 healthier and happier than ever before because of your investments and choices you make this year. So get out there, get active, be intentional, and Happy New Year! Invest in your health in 2016. Call (615) 751-0958 to schedule your first appointment in the new year, or click here to request an appointment online.